Aeroview Scout uses artificial intelligence and algorithms to help farmers grow healthy trees. Satellite and drone analytics company, Aerobotics, has introduced Aeroview Scout, a mobile app that gives farmers a bird's eye view of their orchards, to help them grow healthy trees and save water. According to the company, the app uses artificial intelligence (AI) and algorithms to transform satellite and drone imagery into useful information to help farmers identify problem areas in the orchard. Using the Aeroview Scout's visual and multispectral camera, farmers can locate each problematic tree using GPS co-ordinates, make notes, take pictures and track progress of treatment for each tree over time. It uses crop health maps to highlight problem areas on the farm and moisture index maps which reveal leaks to help reduce water usage and facilitate more effective irrigation, adds the company. The app, available on both the Apple and Android app stores, also helps to track progress of each affected tree so that farmers can better manage their time and resources on a regular basis, reducing wastage in irrigation and pest management. James Paterson, CEO of Aerobotics, says the Aeroview Scout app complements the Aeroview online platform which uses GPS co-ordinates to locate trees with issues and so that the problems can be remedied early. "Aeroview Scout is precision farming in the palm of your hands. This smartphone app is going to be the next essential tool for all farmers who aim for greater yields and profits, while saving water at the same time," he explains. 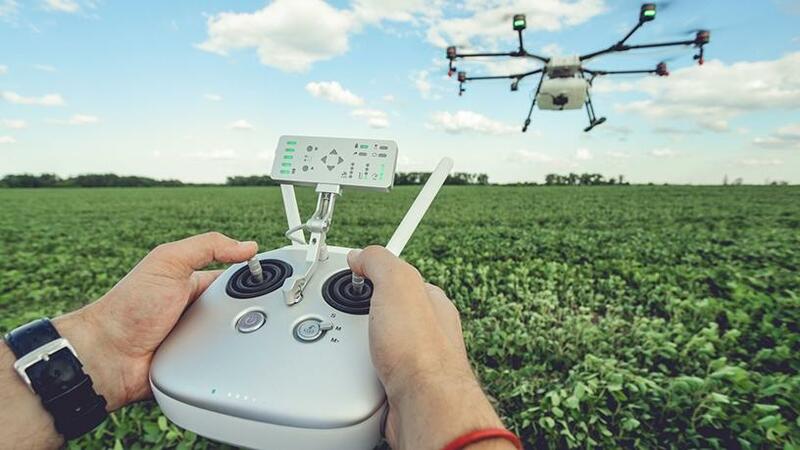 Farmers, he continues, have the option to use their own drones to scan the orchard or they can book for a drone scan on their farm via the Aeroview platform and the analysed data will then be sent to the farmer. "The data on the app is taken from both satellite images and drone images and then put through an algorithm to produce usable data that farmers can access via the smartphone app." Aerobotics was established in Cape Town in 2014 by Massachusetts Institute of Technology and Imperial College alumni Paterson and Benji Meltzer. The company developed data analytics platform Aeroview, which uses satellites, drones and artificial intelligence to help farmers optimise crop performance and reduce input costs. Aeroview says today it has users in SA, Australia, New Zealand, Malawi, Zimbabwe, Mozambique and the UK. In a study conducted by Aerobotics on a 3.75 hectare Western Cape peach orchard, the Aeroview data highlighted how the farm could generate more exportable fruit by addressing the trees in need of help and the data mitigated a R400 000 loss in income for the farm, the company says.